For the Fall of 2010, Icon dropped the 'SSR' from the name and came out with a product far superior to its predecessor. 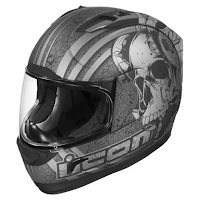 The Icon Alliance Helmet touts a feature-set that pulls directly from Icon's upper-echelon helmets, the Icon Airframe Helmet and Icon Domain Helmet, and is rarely seen at the sub-$200 price point. The helmet pictured at the right is the Icon Alliance Redeemer Helmet. First and foremost: comfort. 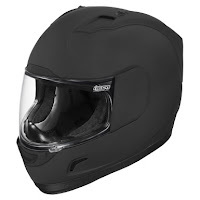 At the behest of fans of the Icon Alliance SSR, Icon reshaped the EPS liner of the helmet creating a more long oval head shape. 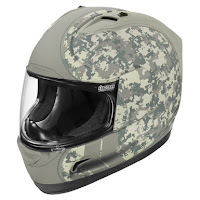 Anyone complaining about pressure points on the forehead or back of head need not worry anymore as the new Alliance is more ergonomic and will be more comfortable for a wider swath of riders. 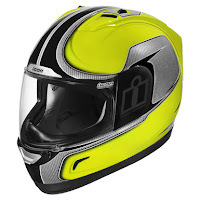 The two helmets above are the Icon Alliance Operator Helmet (left) and the Icon Alliance Hi-Viz Helmet (right). The new model of the Alliance also features a much-upgraded ventilation system. With twin channel supervents, as referred to by Icon, the 20mm intakes rush into the helmet and are sucked out through massive exhaust vents. 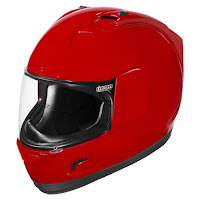 This creates Venturi Effect airflow and will keep you even cooler at speed. 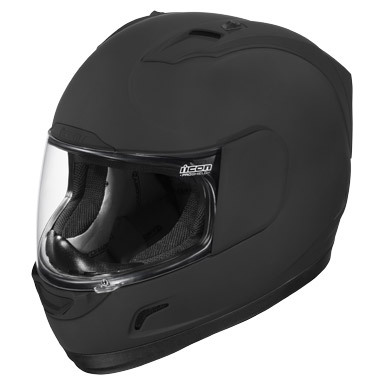 Also redesigned is the chin vent which will offer better airflow and defogging properties than the previous model. Above you'll see the Icon Alliance Solid Helmet (above left) and the Icon Alliance Speedmetal Helmet (above right). To the right is the Icon Alliance Tyranny Helmet. The last major upgrade is the shield. For the Icon Alliance, they upgraded from their basic shield to the Icon ProShield which offers a massive eyeport, is fog-free and antiscratch and utilizes Icon's ProLock system, a tool-free shield change mechanism. 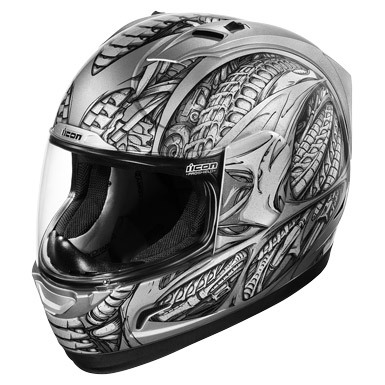 All of these upgrades combine to create an all-world safety standard helmet, certified DOT, ECE, SG, and SAI. 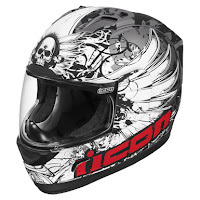 At this price point, Icon integrated many features from $300+ dollar helmets and has set the bar even higher for a helmet in the $100-$200 range. To the right you'll see the Icon Alliance Rubatone Helmet. Stay tuned for more blogs and a video review in the very near future.